Let the oven preheat at 400°F. 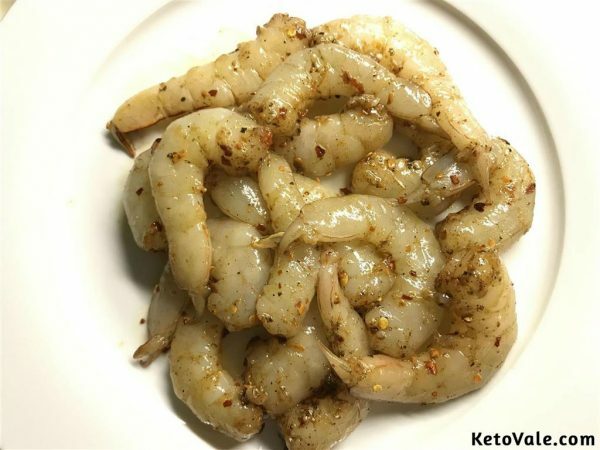 Make a marinade for the shrimp with butter, pepper, paprika, salt, red pepper flakes, and garlic powder. Coat the peeled shrimp with the marinade. After washing the broccolini, drizzle olive oil on top. Add some salt for better flavor. 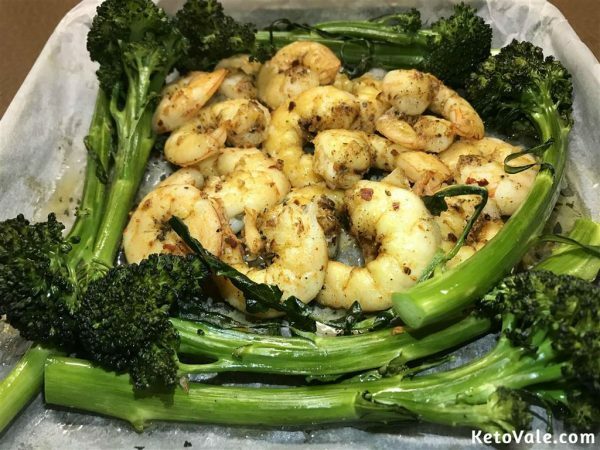 Arrange the shrimp and broccolini on a baking tray. Roast them in the oven for 7 minutes. Wait till the shrimp turns opaque. Take out the tray from the oven. 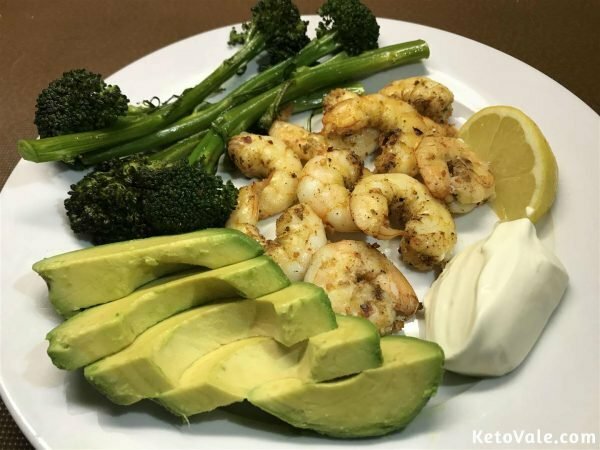 Serve in a dish along with slices of avocado, a slice of lemon, and some sour cream is desired. The ingredients are enough to make 2 servings. When baking the broccolini, it’s good to season it with a little bit of olive oil so it cooks well and looks shiny. 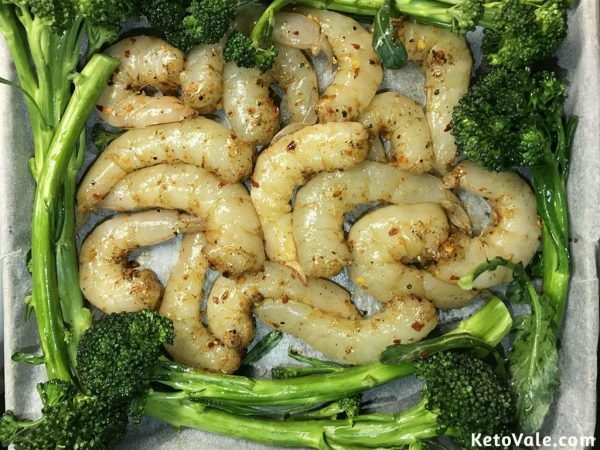 I prefer to squeeze a little bit of lemon on the shrimp when serving to enjoy the freshness and the amazing smell than marinate it with raw shrimp. 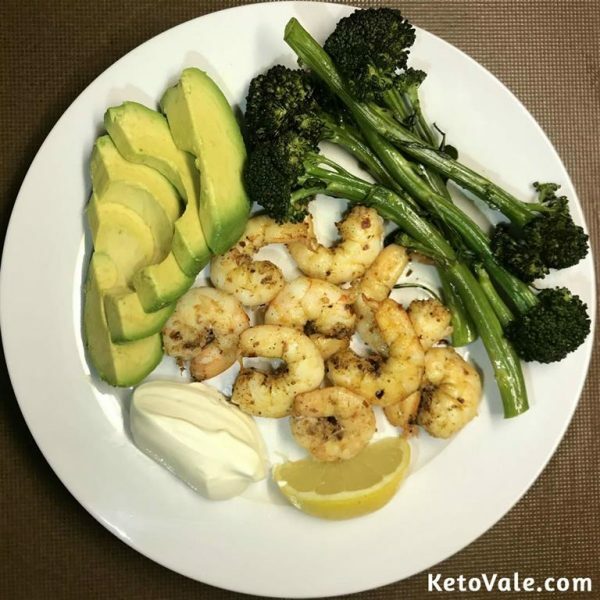 This dish is so simple and fast to make. You won’t believe how easy it is until you try. Enjoy!